This tiny mobile house includes a built-in hot tub so that you can still unwind after a hard day’s work right in your own home! It is heated by a gas central heating boiler, but its manufacturer Tiny Wood Homes, also sells wood-fired hot tubs if you prefer them. The house is equipped with a kitchen, a double bed loft, seating that unfolds into an additional bed and a fully-plumbed bathroom with shower. 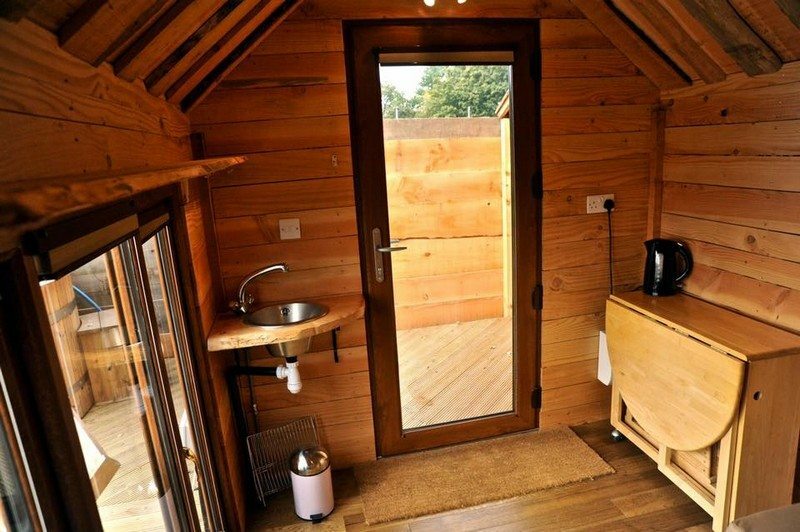 An off-grid version is also available where it consists of a water tank, a composting toilet and solar power. You can fit this tiny home in a standard trailer and tow it by truck. Despite its dimensions, this home feels spacious thanks to its double-height ceiling! If you want to know more about this tiny house on wheels, you can head over to Tiny Wood Homes website.